The Exelon Byron Nuclear Generating Stations in Byron, Illinois. US conglomerate General Electric is seeking permission to build a $1 billion plant for uranium enrichment by laser, a process which has raised proliferation fears, The New York Times said. 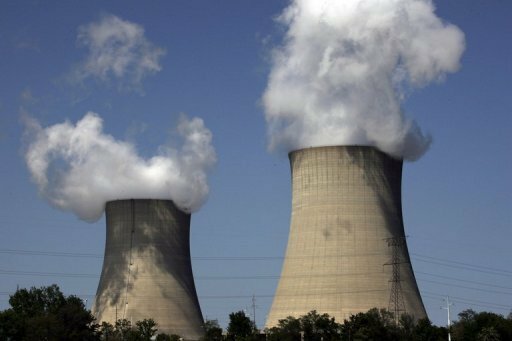 AFP – US conglomerate General Electric is seeking permission to build a $1 billion plant for uranium enrichment by laser, a process which has raised proliferation fears, The New York Times said Sunday. After testing the enrichment process for two years, GE has asked the US government to approve its plans for a massive facility in North Carolina that could produce reactor fuel by the ton, the report said, citing GE officials. “We are currently optimizing the design,” Christopher Monetta, president of Global Laser Enrichment, a subsidiary operated by GE and Japan’s Hitachi, said in an interview with the newspaper. 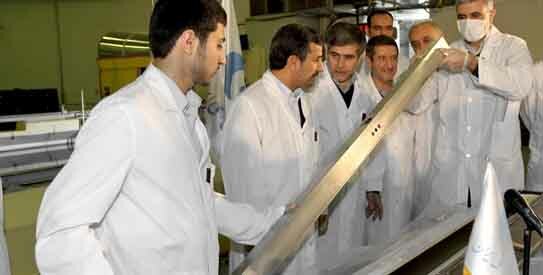 International tensions over Iran’s disputed nuclear program look set to rise further after that country’s atomic energy chief, Fereidoun Abbasi, announced plans to drastically step up production of enriched uranium. Abbasi also said output would be transferred from Natanz to a new secretly built facility at Fordow, near Qom, whose existence paved the way for a fresh round of United Nations sanctions against Iran when it was revealed in 2009.